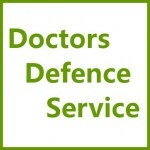 GMC Undertakings | Doctors Defence Service – UK. The GMC may agree formal undertakings with a doctor during the period of GMC Investigation or at a Fitness to Practise hearing. An undertaking is a written agreement (a bit like a contract) between a doctor and the GMC that the doctor will work within prescribed parameters, often in a particular specialism or training setting. A doctor must consent to abide by undertakings; they cannot be imposed upon a doctor where a doctor formally opposes undertakings. In such circumstances a doctor is likely to be referred to a fitness to practise hearing. In some instances, doctors may fare better at such a hearing, obtaining workable conditions that are less onerous that the terms of the proposed undertakings. Each case turns on its own facts. e) a doctor being monitored as to their health. There is a variety of undertakings that can be imposed. For more information, see the GMC’s Undertakings Bank, which sets out a number of undertakings that may be imposed in a number of different situations. See also the Guidance on GMC Undertakings for Doctors and the GMC’s 2015 review document on undertakings and conditions, for the sake of completeness. Undertakings are often imposed where there are concerns about competence or adverse mental or physical health. Evidence of progress, remediation and safe working is usually required over time. There are many doctors who live and work quite well with significant mental health problems, that may go into remission but which leave a vulnerability that needs to be monitored. Visit our GMC Health Cases page for more details about how a doctor’s fitness to practise is assessed in regard to health concerns. The GMC has to power to vary and revoke undertakings. Signifiant evidence will be needed to be able to revoke undertakings altogether. For further reading on GMC undertakings, see the GMC’s Guidance on Varying and Revoking Undertakings. See also the Supplementary Guidance on Revocation of GMC Undertakings (2016).